Providing high quality farm assured meat from the heart of Exmoor. Are you looking for a unique and sustainable 'Home Grown on Exmoor' Gift? Beautiful Aberdeen Angus cattle hides for rugs, throws or wall hangings or Boer Goat Rugs. We ate our first goat leg joint from Exmoor Meat Boxes last night and thoroughly enjoyed it. We slow roasted it with garlic and rosemary and it came out of the oven tender and falling off the bone. As local farmers, it is great to be able to have easy access to this more unusual, but extremely tasty meat, giving more options for tasty meals. Everyone should try a meat box from josh and Sarah... I had a delicious lamb recently... arrived beautifully packed and chilled the very next day. Delicious reminder of the lovely farm on Exmoor. I was slightly unsure about eating goat! However I've just had some for tea and it was delicious, definitely need some more, please talk to Dinger in the garage as we would like to buy some steaks, really need to promote this meat. I must say it looked lovely, was actually expecting it to smell goaty but when I opened the breast, no smell at all, was so surprised. Baptism by fire tonight and made a curry with the breast in my slow cooker, success, even my 31 year old daughter tried some. She's not really a lover of any meat. Had our first half goat delivered yesterday, well packaged and presented and tasted amazing. Great reliable service and superb product. We are a 250 acre family run hill farm high on top of Exmoor and we run a pedigree herd of Aberdeen Angus cattle, Boer Meat Goats and native Exmoor Horn Sheep along with our commercial ewes - North County Mules X Primera - giving our lambs a good meat covering. We have our animals welfare in mind and love caring for them. We are proud to sell our home reared grass fed meat to you. West Twitchen Ball Farm is within the Exmoor National Park on the south side renowned for its wildness, "dark skies" and fresh air along with the red deer, wildlife and birds of prey that fly high over the farm. During the summer time we are busy making and collecting our harvest of haylage and hay fodder for the animals during the winter. Sometimes this is testing due to Exmoor's adverse weather conditions and living on a 1100ft and above Exmoor Hill Farm which has a climate of its own! Yet on a fine day there is no more beautiful place to be - some call it the mountains. We are a member of the Red Tractor farm and food standards scheme and a member of the Devon Association of Smallholders. We are members of the British Boer Goat Society - britishboergoatsociety.co.uk. The Boer Goat is a meat goat which was developed in South Africa. It is a lean tender meat (goat meat is also referred to as chevon). Boer Goats are the finest meat goat in the world. They are stockier, shorter legged and have a superior carcase compared to the dairy goat. They can be compared to the Aberdeen Angus of the beef world. The percentage of saturated fat in goat meat is 40% less than skinless chicken. Studies indicate that goat meat supplies a high-quality protein source along with a healthy fat (increased unsaturated fats/saturated fats ratio) with minimal cholesterol intake. Goat meat, chevon, is very lean, low in cholesterol, high in protein, has higher values of iron, potassium, and thiamine associated with a low sodium level, and all essential amino acids are present. In our modern health, conscious society chevon should be looked at as a naturally occurring healthy meat. These are Primera cross lambs that give a very good carcass combined with excellent eating quality. We are members of the Exmoor Horn sheep Breeders' Society, www.exmoorhornbreeders.co.uk, and all our sheep are grass fed high up on Exmoor. 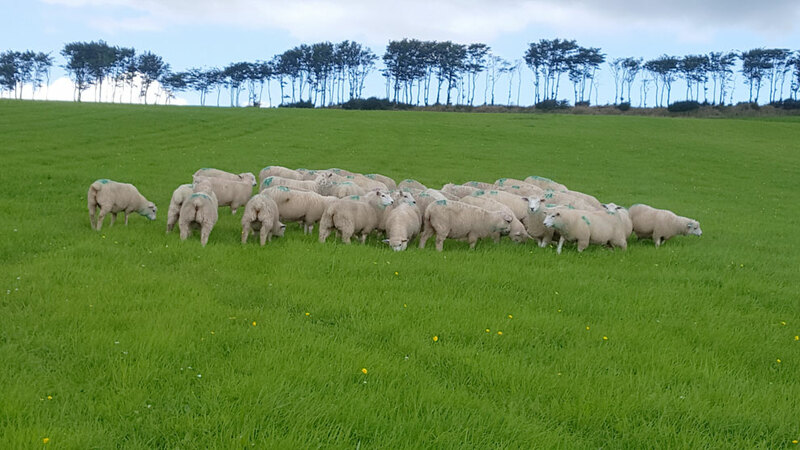 The Primera breed is made up of traditional sheep including Hampshire Down, South Down and Poll Dorset, all of which are renowned for excellent quality meat, finishing on grass alone. This is an excellent type of beef known for its marbling, texture and flavour. We are members of the Aberdeen Angus Cattle Society. 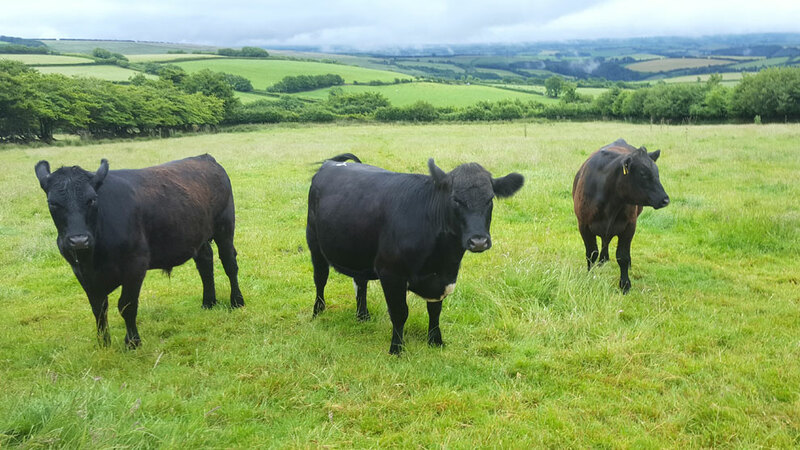 Our Top Quality Aberdeen Angus Exmoor grass fed beef boxes are available in 12kg and 20kg which include a selection of our delicious joints, steaks, tasty stewing beef, mince and sausages. A whole goat or lamb comes out at 17-20 kg so half a goat or lamb will be approx. 10 kg. Please note all meat is prepared to order at our butchery. This ensures you get the highest quality tasting Exmoor meat possible so please be patient. Total weight minimum is 12/20kg approx. Total box weight is a minimum weight. Pack sizes may vary slightly. In the event of a shortage of a particular cut we reserve the right to make a suitable substitution or another cut of the same or higher value. A minimum of £50 deposit is required on all 10 kg or 12 kg orders of beef and goat and £35 for the lamb. Full payment must be made prior to Delivery by Courier, or on receipt of delivery of meat if being personally delivered. No meat will be released without payment. Interest will be charged at 20% if no payment has been made. Beef, lamb and goat are now available to order. Our abattoir has a unique European Community (EC) reference number which identifies them as a cutting plant and as an operator. This establishes the origin of our meat - vital for traceability - and is your quality seal of approval. For our customers it helps to distinguish our meat from that processed by other abattoirs. Our abattoir's stamp is 8231 within an oval. The oval signifies compliance with the high EC abattoir standard; enabling us to export to Europe.